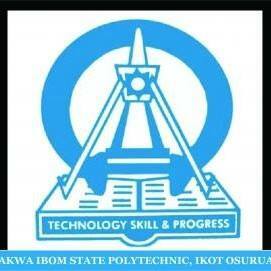 Akwa-Ibom State Polytechnic academic and non academic job vacancies. Applications are invited from interested and suitably qualified candidates to fill the following vacant positions in Akwa Ibom State Polytechnic, Ikot Osurua, Ikot Ekpene, Akwa Ibom State. School of Business & MGT. Requirements: B.Sc, BA, B.ENG, M.Sc, MA, M.ENG, MBA, Ph.D will be an added advantage. NYSC Discharge/Exemption Certificates. Journal Articles, Evidence of Registration with relevant professional bodies. Computer Literacy plus 10 years cognate experience. M.Sc in Environmental Biology. Requirements: BA, B.Sc, B.ENG, MA, M.Sc, M.ENG, PGDE, NYSC Discharge/Exemption Certificates, Computer Literacy Plus 5 years cognate experience. Requirements: BA, B.SC, B.ENG, M.ENG, NYSC Discharge/Exemption Certificates, Computer Literacy plus 5 years cognate experience. Requirement: BA, B.Sc, MA, MBA, MSC, MA, B.A(ed), MED, NYSC Discharge/Exemption Certificates, Computer Literacy, Membership of Professional body, plus 10years cognate experience. Requirement: BA, BSC, B.A(ed), NYSC Discharge/Exemption Certificates, Computer Literacy Certificate. Requirement: ND, HND, NYSC Discharge/Exemption Certificates, Computer Literacy. SSCE, ND with Computer Literacy. Requirement: ND, HND, B.Sc in Office Technology & Management, NYSC Discharge/Exemption Certificates plus Computer Literacy. ND. SSCE, Certificate in Computer Studies. Requirement: SSCE, NABTED, NECO, FSLC. Requirement: BLS, MLS, LRCN Certificates, NYSC Discharge/Exemption Certificates, Computer Literacy Certificate plus 10years cognate experience. Requirement: BLS, BSC in ICT, NYSC Discharge/Exemption Certificates. Requirement: SSCE, NABTED & TRADE TEST certificates. Terms and conditions of service are the same as those obtainable in comparable State Tertiary Institutions in the Country. Interested applicants are requested to visit the School Portal: www.akwaibompoly.edu.ng and fill the online application form and print out acknowledgement slip. Portal closes on 20th July 2017. Shortlisted candidates will be contacted through text message and E-mail Address. NB: Only Shortlisted applicants will be invited for interview.